This stylish duel fuel cooker from Smeg effortlessly combines clever features with contemporary design. 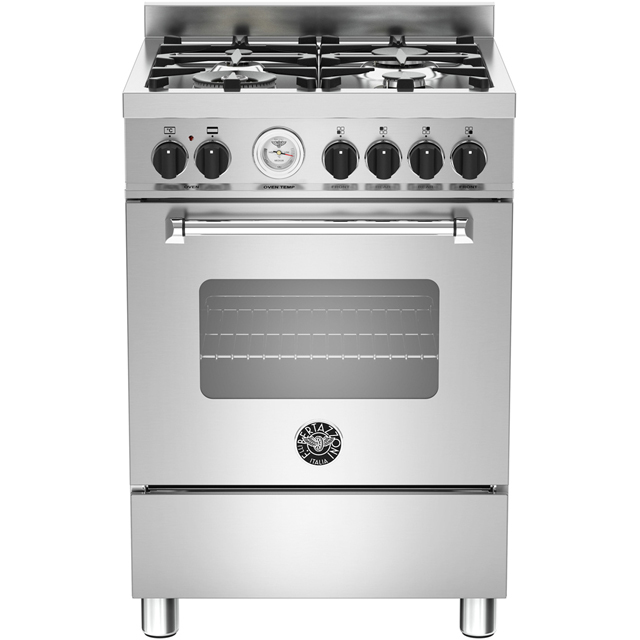 This model has two ovens which are rated A/A for energy efficiency, so it’s really economical to run. It has a multifunctional main oven, which gives you lots of cooking options to choose from, so you can try out new recipes. The handy electronic timer will let you know when your food is ready – so you can entertain your guests rather than slave over your meal. It has a vapour clean function too, which uses steam to loosen grease inside the oven for effortless cleaning. 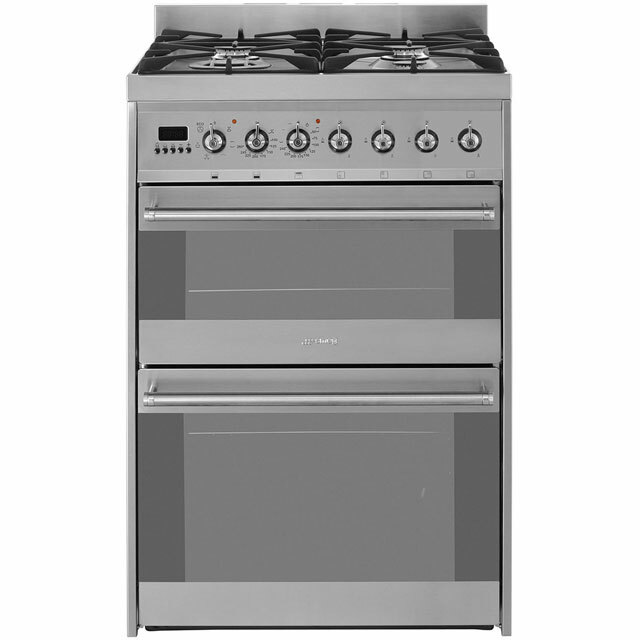 I am so pleased with the Smeg Symphony SY62MX8 dual fuel cooker. It looks great and is a joy to use from the easily controllable gas hobs - that will turn down to simmer - to the double ovens. The main oven is multifunctional which gives lots of choices. I made a chocolate cake which my Son-in-law took to a Directors meeting and he has just told me they all thought it was the best they had tasted - a good recommendation for the oven. 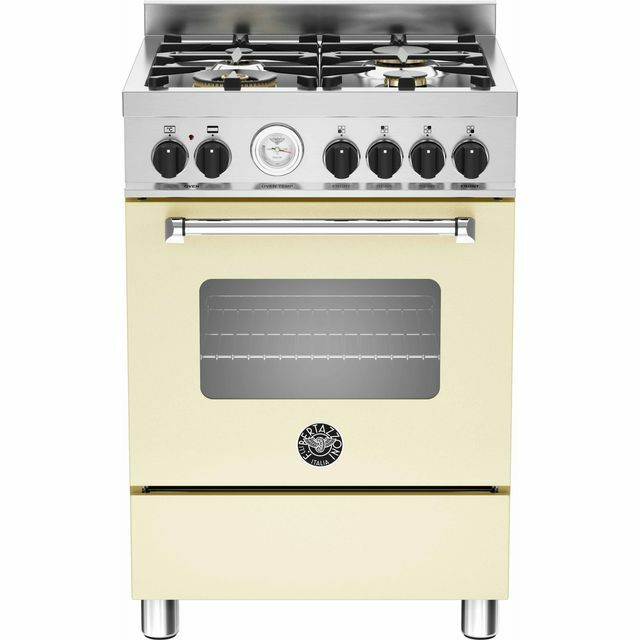 I wanted a wow factor oven but small enough for my little kitchen. I definitely got that!! It is beautiful, well made. The delivery was so simple straight forward and the installation guys were so professional Ao.com is the only place for electrical items. 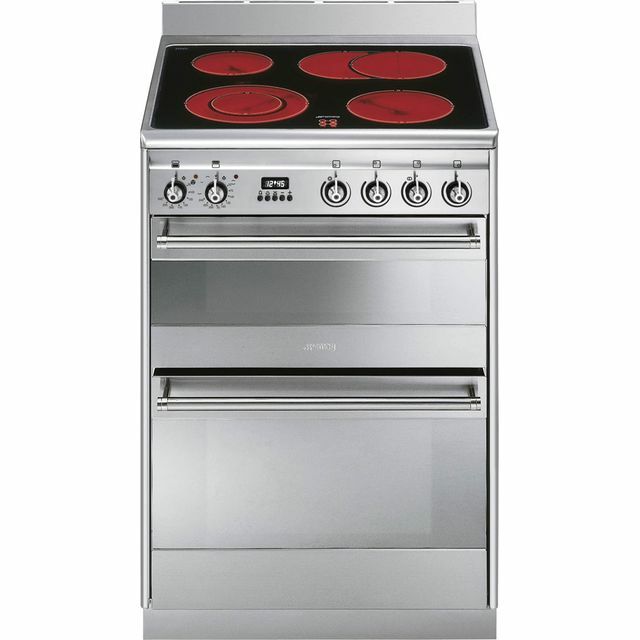 Fab cooker, easy ordering. Happy customer! 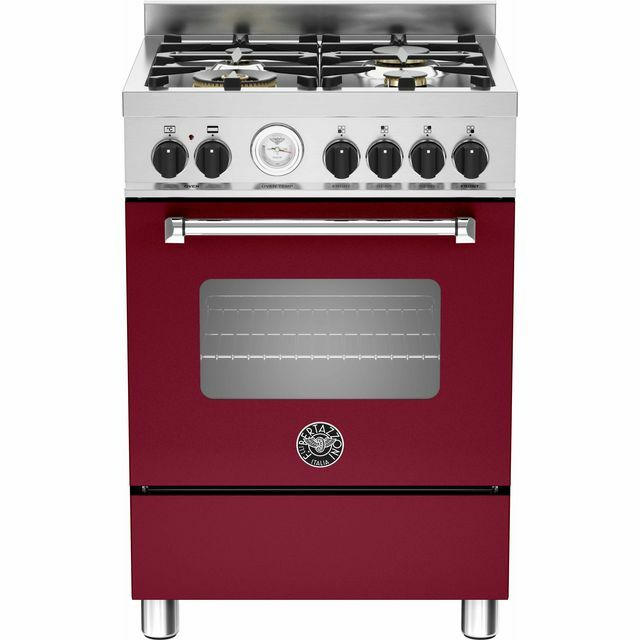 Great build quality, stunning looks, and sturdy pan supports as always from Smeg shame about the finer details that I have listed below which would have made this a brilliant oven. I have not had to clean the oven yet, but hoping the optional oven liners will help. (PC60) Purchased this to replace my old SmegSUK61MPX5, went for the dual option, so far I have found the following issues: No digital read out on LCD Display to show temperature selected on the oven, so I have to guess!! as the dials are set in 25 deg increments, (this feature was available on my old model), looks like I will have to find two decent thermometers. When cooking in either small top oven or larger main oven, a large amount of condensation forms and runs down the glass and out onto the floor not good. It would have been nice if the heavy gauge Wok pan support was included as standard instead of the flimsy wire support, especially at this price bracket. Excellent build quality and quick, even heating. Design is very easy to keep clean, and I think that this cooker works very well in both modern and more period kitchens where a full aga / range is type thing is not practical. The knobs are a bit on the spindly side, but they clearly click into each of the many oven settings.